We’re living in strange times when it comes to building your own PC. Excessive demand from cryptominers means video card prices have risen to such high levels that buying a pre-built computer is now often cheaper than building your own. But there could be a way around the problem: external graphics enclosures. Tom’s Hardware reports that these external docks—the kind that come with video cards pre-installed—won't get you a GPU close to its MSRP, but they still offer savings over current retail prices. Enclosures such as Razer’s Core V2 are primarily aimed at lower-end laptops and AIO PCs with integrated graphics. Thanks to Thunderbolt 3, these boxes can boost graphical performance while offering a range of extra connectivity options. Most of them come without an included GPU, but Gigabyte has one for sale that can get you a top Nvidia card for less than what you’d currently pay if bought individually. 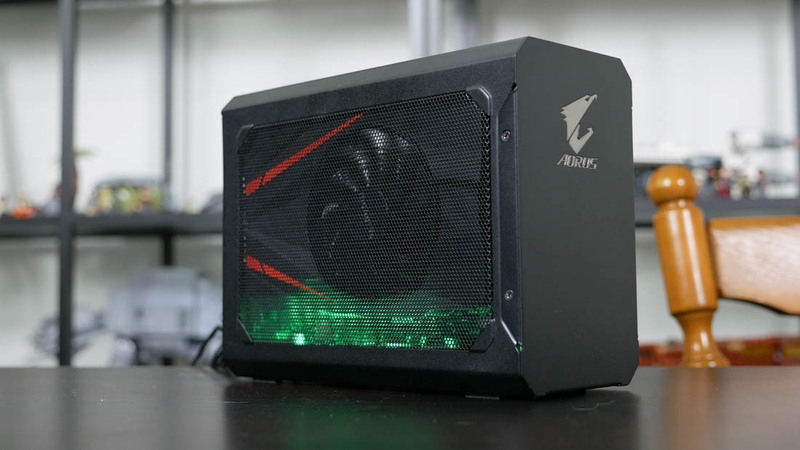 The publication found that Gigabyte's Aorus GeForce Box with either a GTX 1080 or 1070 are selling on Newegg for $700 and $600, respectively. While that might not be pre-mining craze levels, it’s certainly better than the cheapest 1070 card on the site, which is almost $700. A single GTX 1080 on Newegg, meanwhile, will set you back around $780, meaning you’ll still save about $80 when buying the enclosure. Both of Gigabyte’s external docks come with smaller versions of Nvidia’s GPUs pre-installed. It’s easy to remove these cards and put them to use inside your own desktop system, leaving you with an empty external graphics enclosure that can be sold on—assuming you’re able to find a buyer. According to Newegg, the Aorus GeForce Box is still in stock. And much like what Nvidia promised to do with its GPUs, the retail site is limiting sales—in this instance, it’s one per customer—to stop miners buying up all the stock in bulk.